As parents, we want our children to go into the world of school, peers and friendships, and life feeling happy, confident and valued. We do our best to fortify their self-confidence within the home so that they are equipped to be strong and successful in the rest of the world. But what happens when they experience real issues that create obstacles to maintaining a good self-esteem? One issue that can affect self-esteem is anxiety. Anxiety is common in young people's lives, especially in the school arena where they are under constant pressure to get good grades and perform. A little stress is normal, perhaps even healthy, but what happens when your child's life is dominated by worry? This can make your child feel insecure and scared. As a result, they often feel less confident in their abilities to solve problems and manage every day situations. 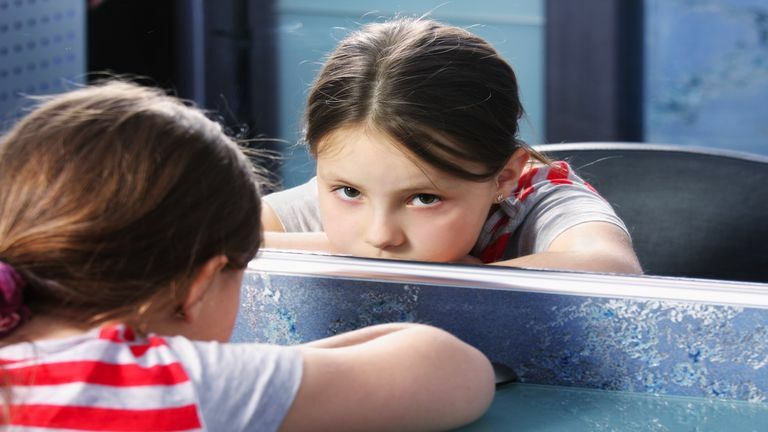 What are some signs that your child is experiencing low self-esteem? Helping kids overcome their fears, even small ones, will help with their self-esteem. You can do this by breaking down something difficult into smaller steps. You can also do this by helping your child to try something new -- take a new class, go to a new place, try a new activity. The key thing is for your child to experience a victory -- knowing that they can do it -- in the face of something seemingly hard or scary. This will help them feel stronger internally and motivate them to try something else which will also increase their self-esteem and confidence in themselves. Children need to feel they can make it in the world and handle what life gives them. This is resilience. The more confident your child feels about his or her ability to solve problems and handle situations, the better he or she will feel inside -- and this strength will show up on the outside. Of course, if your support isn't helping your child or tween or teen, please reach out and seek professional help.